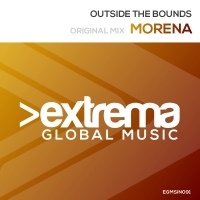 Extrema Global Music march on with their latest trance stormer, Morena by Outside The Bounds. The chunky build drops into the breakdown which is chord laden and backs up a slick ethereal vocal. Cool and uplifting - just how we like it. 'Morena' is available now from Beatport and iTunes.